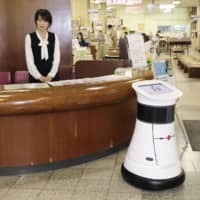 GIFU - At its city hall on Tuesday, a local government in central Japan demonstrated an experiment showing robots that can independently guide people to the right information window or teach them how to fill out government forms. Ogaki city in Gifu Prefecture is the first local government in Japan that is attempting to use robots that will autonomously guide people, according to the city, which is looking to integrate them into its services in 2020. 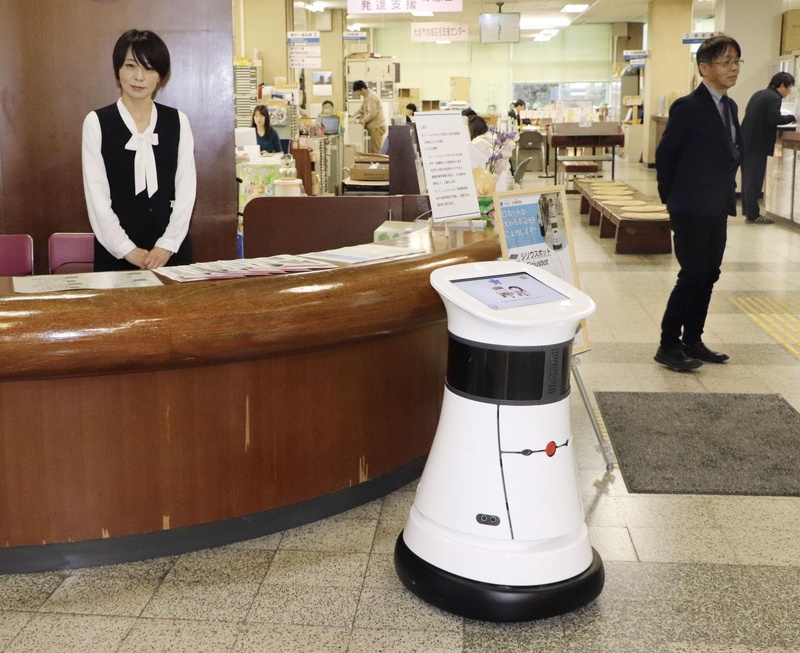 “I would like to use robots to increase our services to our residents, and make our municipal office a gathering place where we can have fun,” said Ogaki Mayor Bin Ogawa. At the event, an autonomous robot shaped like a tube guided the mayor from the information counter to the elevator. Ogawa wants the project to be implemented in 2020 when a new government office is set to open. The city government is in the midst of developing an “electronic city hall” that uses robots and artificial intelligence. Last November, it concluded an agreement of cooperation with six businesses, including those in charge of robotic development. The experiment features five different robots. The autonomous ones have touch panels so a person can choose the department he or she would like to go to. The robots will then guide the person to the correct information window. People who wish to apply for a certificate can be helped by robots that verbally explain how to fill out the appropriate application form. Robots in the children’s corner can hold simple conversations with children and read them picture books.